Hopefully you arrived here after viewing the weekly TJ Inkspirations that mentioned the tutorial in this post. If not, you should subscribe! simply email me at phuntoon@optonline.net to get on the list. All Technique Junkies Flowers stamps are on sale this week. Use the coupon code flowers15 at checkout to get your discount! 1. 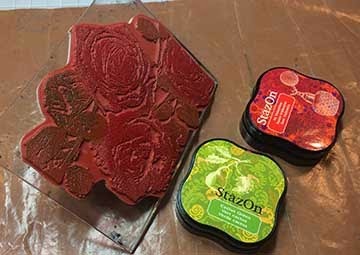 Select a few colors to use on the stamp, I am using StazOn here, simply because I love the colors of the MIDI pads, and they fit nicely in my hands. You can use whatever ink pad you choose. 2. 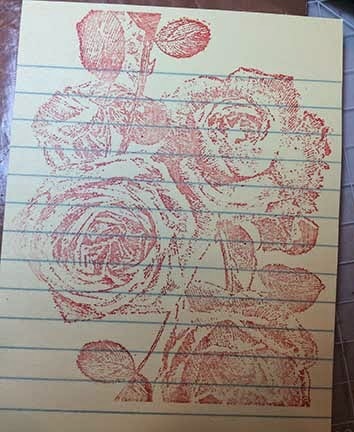 Apply color directly to the stamp by rubbing the ink pad directly on the rubber. Repeat with all stamps. 3. 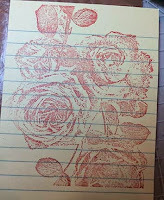 Stamp the image on cardstock. 4. Stamp the image again onto a Post It note, then cut the Post It image out to create a mask. NOTE: When cutting masks, it is always better to make them too small rather than too large. 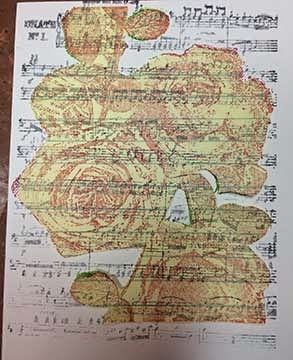 When they are cut too large, blank space may show when the image is overstamped. 5. Cover the image with the Post It Note. 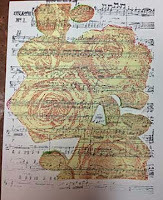 Ink the Vintage Music Collage with Grey ink and stamp over the Post It Note and cardstock. 6. Remove the mask and finish as desired. 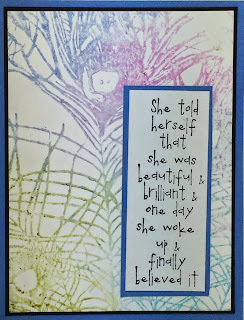 I made this with the first Palettini Stamp that came off the press back in September last year to see how the Wasted Stamp looked -- and I promptly forgot about this card! I am happy to share it with you today, since we are getting closer to Father's Day. This card uses the Fishing Guy stamp, colored with Pastel Pencils, layered over Wasted (Palettini). 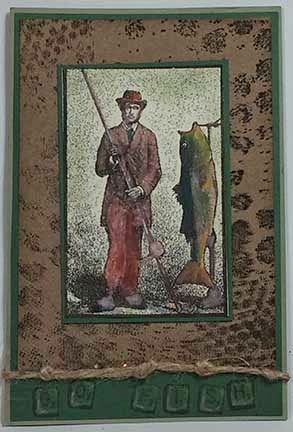 On the bottom, I stamped "Go Fish" with the Small Realistic Letter Tiles, Upper Case. 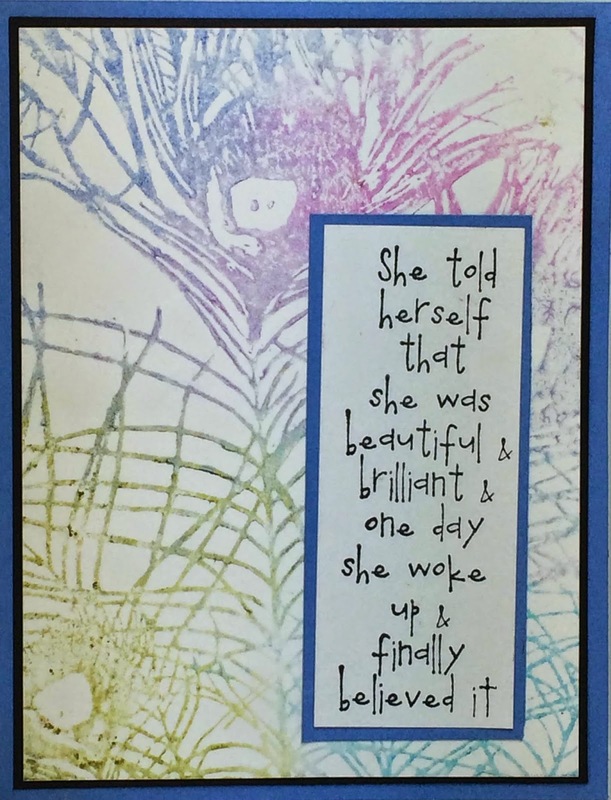 I love these little tiles - so useful for creating my own phrases! All stamps are Technique Junkies Stamps, of course. If you receive my weekly email, you know that the last one explored different ways to use the same stamp. Of course, there is only so much room in that email...so I have some extras to share with you! 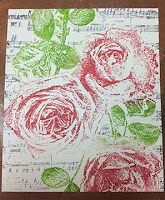 Today I am sharing one that uses the Gelatos Smoosh technique from the Bodacious Backgrounds CD. 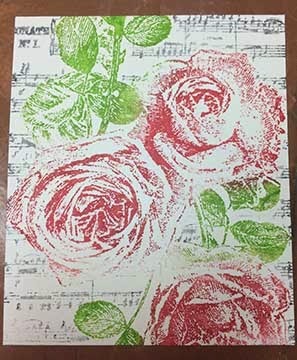 It is such an easy technique, and you can get such pretty colors from it. If you have the CD, take a look! If not, the CD is only $9.95, and all CDs are 20% off this week, too! Click here to see all the CDs. The stamps used are Peacock Feathers and Beautiful and Brilliant (both from Technique Junkies, of course!). Welcome to the hop! If you have come from Jeri's blog, you are in the right place. I hope you have enjoyed all of the gorgeous artwork! If this is your first stop, I urge you to start at the beginning on the Design Team Blog (http://techniquejunkies.blogspot.com). The designers have outdone themselves. 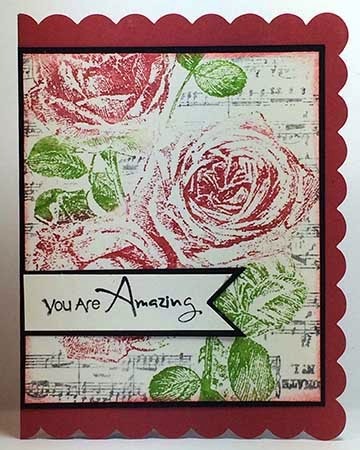 Today we are celebrating the May Stamp releases on www.techniquejunkies.com! We have 35 new stamps, including 11 new stamps from the Palettini line. We are so excited about these new stamps, and we want to share the excitement with a GREAT discount. From now through next Friday, take 15% off all May Release stamps! To find them, click on New Stamps, then May Releases on the sidebar. I hope you love them as much as I do! The second card here, which was featured in the TJ Inspirations email (if you are not receiving the email, contact me on phuntoon@optonline.net and I will add you). 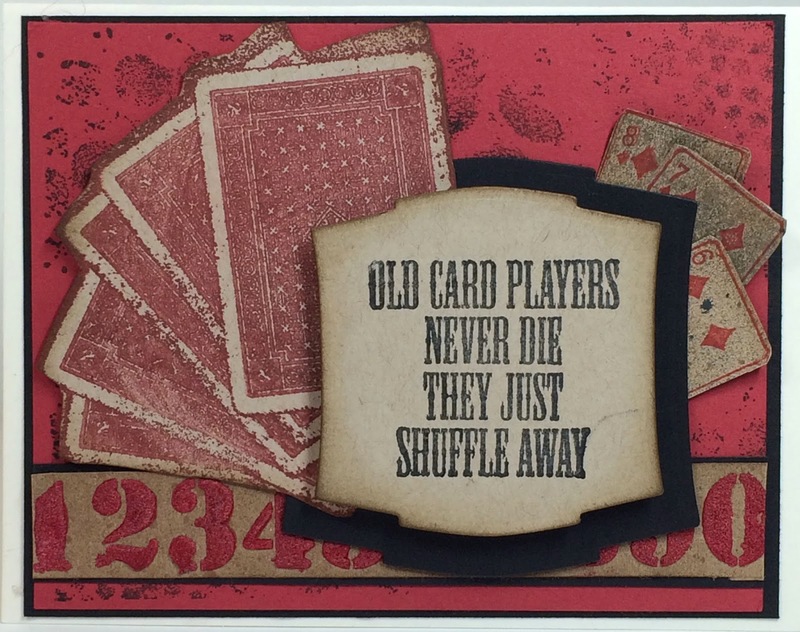 I used the new Winning Hand Stamp from the Palettini line, along with the Old Card Players stamp (SDX060). 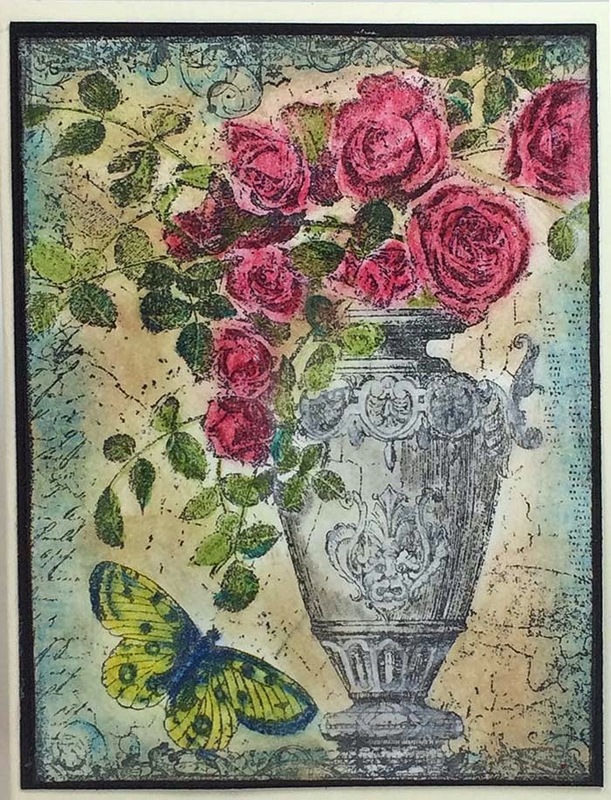 The Wasted Background (P020) seemed perfect for this card, along with the Diamonds (S278) cards as an accent. 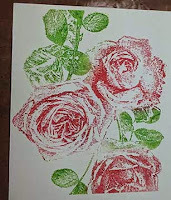 I hope you have enjoyed the hop -- and I hope you love the new stamps as much as I do!! Go save 15% on the new stamps!